Monitoring DirectAccess Machine and User Activity with Windows Component Event Logging | Richard M. Hicks Consulting, Inc. The monitoring of DirectAccess machine and user activity presents some unique challenges for security administrators. 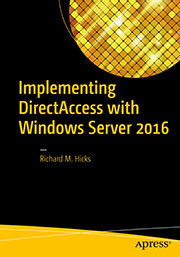 All DirectAccess client communication destined for the internal corporate network is translated by the DirectAccess server and appears to originate from the DirectAccess server’s internal IPv4 address. Also, the public IPv4 address for DirectAccess clients using the IP-HTTPS IPv6 transition protocol is not visible using the native reporting tools. 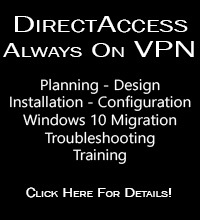 In addition, vital information such as source ports used by the DirectAccess server for internal connections and source ports used by DirectAccess clients is not available. 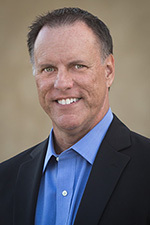 This lack of granular connection logging creates a serious blind spot for administrators conducting forensic investigations. As veteran Microsoft Premier Field Engineer (PFE) Martin Solis described in detail in a recent blog post, all of these details are in fact logged. However, gathering this information is not exactly intuitive. To collect this essential information it will be necessary to leverage Windows component event logging. By searching the IPHLPSVC, Base Filtering Engine Connections, Base Filtering Resource Flows, and WinNAT operational logs, it is possible to gather all of the information necessary for uniquely identifying DirectAccess corporate network communication. Be sure to read Martin’s excellent article about using Windows component event logging to monitor DirectAccess machine and user activity, which can be found here. Is there any event ID generated on client side when DA connection is successful?